Tess recently bought a new house, so she is spending a lot of time doing home renovations. When she’s not working on her house, she likes to visit family and travel. Tess is a hydrologist which means she studies water. Her research examines how water moves, how much of it there is in the world, and how the actions of humans change how water moves in the world. As far back as Tess can remember, she has been interested in problem-solving, including riddles and puzzles. Her great uncle worked for NASA, and he always used to bring her different kinds puzzles to solve. In grade school Tess also really enjoyed her science classes, especially physics and math. One of the failures that Tess still struggles with right now is getting grants and papers rejected. This is particularly painful because she feels like she spends so much time working on a paper, and it’s tough to get it back peppered with harsh comments and criticism. Getting the offer for her current job as a tenure-track faculty member at Penn State was a big success for Tess. She almost didn’t believe it when she first received the offer, and Tess is thrilled to be surrounded by brilliant, accomplished scientists and flattered that they saw potential in the work that she does. A recent trip to Papua New Guinea ranks among Tess’s favorite travel experiences. The people she interacted with there were wonderful and generous, the science was fascinating and worked out well, and the scenery was absolutely stunning. Tess has had some funny and unexpected experiences doing field work, including run-ins with wild animals and attempts to catch a fish with her bare hands. She was also recently a guest on Star Talk Radio with Neil Degrasse Tyson and had a fantastic experience. Don’t be afraid of failure and trying new things, even if you don’t know if it will work. Tess’s research addresses hydrologic system responses to environmental change. 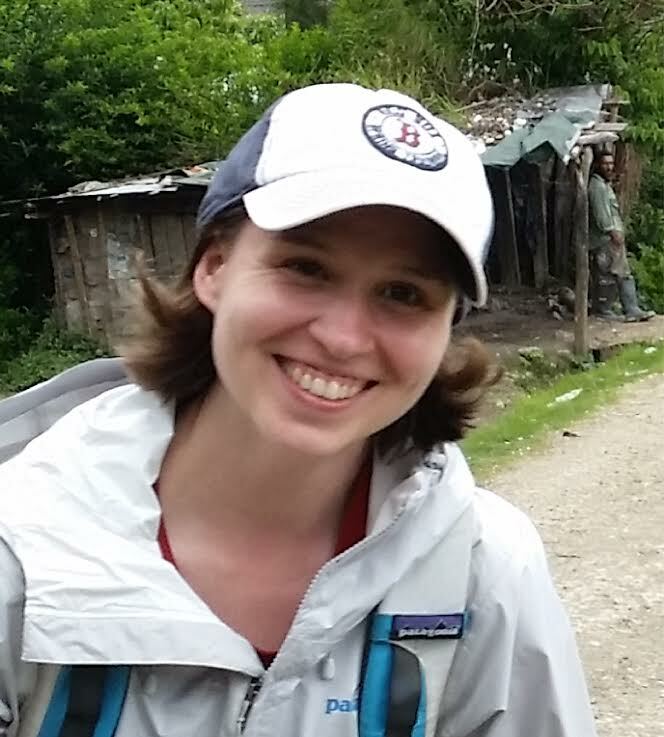 She is interested in developing methods to help quantify the relative impacts of human and natural drivers on hydrologic systems, developing models of the system to project future conditions and test management strategies, and using field observations and modeling to improve our understanding of fundamental physical processes. To address these goals, she uses field instrumentation and observations, numerical and statistical models, GIS, and laboratory analyses.